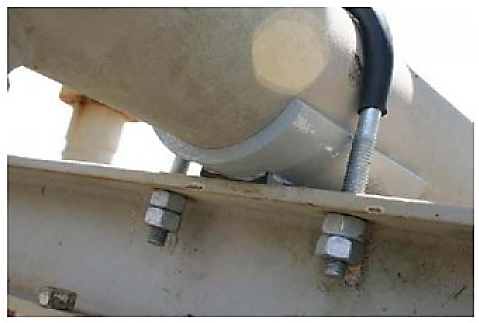 C-SADDLE ARE THE NEXT GENERATION PROTECTION BETWEEN THE PIPE AND PIPE SUPPORT THAT STOPS DANGEROUS CREVICE CORROSION. C-Saddle uses a flat sliding surface between the saddle and pipe support - the next generation of pipe/support protection. Numerous advantages of product, including ease of installation, no hot work requirements and providing a long term maintenance free solution. C-Saddle, with its peel and stick feature, takes less than a minute to install and requires no mixing, special tools or training. Minimum pipe preparation is required. C-Saddle utilize a very high bond strength adhesive along with Nylatron NSM Bearing Pad that will keep the C-Saddle firmly secured to the pipe, when overcoming the friction between the pipe and pipe support associated with pipe movement. Most traditional “insulators” because of their design create excessively high point loads between the pipe and the pipe support. In most cases the point loads created have PSI’s that exceed the yield strength of the insulating materials. 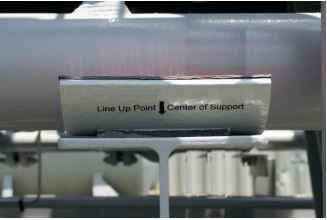 The flat surface of the C-Saddle’s Nylatron NSM Bearing Pad increases the loading area on the pipe support. PSI loadings can be reduced over 90% extending the life of the C-Saddle. The flat surfaces of the Nylatron NSM Bearing Pad on the C-Saddle will keep the C-Saddle firmly in place in the high vibration areas. C-Saddle will not walk out from under your pipe. WHAT MAKES THE C-SADDLE PROCESS SO MUCH BETTER? The C-SADDLE uses a flat siding surface between the saddle and the pipe support. Old technologies use the rounded surfaces of the fiberglass or PVC saddle as the contact points between the pipe and support. This leads to excessively high PSI point loadings on the support that result in accelerated wear to the old style saddles. The broken seal is now a trap for moisture and a hidden source of the dangerous crevice corrosion. The flat siding surfaces on the C-SADDLE can reduce the PSI point loading between the pipe and the support as much as 90%.The flat siding surfaces on the C-SADDLE™ keeps the saddles directly under the pipe and will not allow the saddles to rotate from under the pipe, as is the tendency of the old style saddles. NSM Nylatron is over 300 times more abrasion resistant than Teflon with a similar coefficient of friction.This same material is being used as boom sheaves in crane booms throughout the industry.C-SADDLE is perfect for your new construction jobs but work just as well in your maintenance and retrofit projects. You can get C-SADDLES™ in multiple colors through special orders. C-SADDLES are inexpensive and reduce maintenance cost.C-SADDLES with its peel and stick technology can easily be installed by your field personnel following our simple installation procedures. Apache GOM: Offshore production piping. 6" and 8" C-Saddles. Exterran: Production skids and compressors. 2" to 10" C-Saddles. 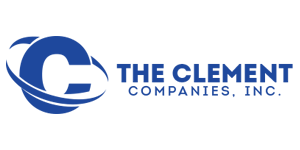 Leed Petroleum: Offshore production piping. 6", 8" and 10" C-Saddles. Pemex: Production skid piping. Full encirclement C-Saddles. PlusPetrol, Lima Peru: 11,300 units in Oil refinery process piping all uninsulated supports. Repsol, Lima Peru: Oil refinery Process piping. 20,000 units multiple sizes. Omega Natchiq Inc: Production skid piping. Offshore bridge.